The next generation of high-capacity Seagate SATA Solid State Drives (SSDs) provides ultra-fast performance for a wide range of enterprise applications. Seagate SSDs are different from Hard Disk Drives (HDD) in a way that they are built using a semiconductor chip instead of a disk platter. This increases the speed of data fetching in SSDs. Get the best quality gaming SSDs for desktops and laptop computers. Seagate SSD drives are a sure way to enhance your gaming experience by improving the load speed and decreasing latency. Get more done in less time when using Seagate Solid State Drives. Increase your pace of work and decrease workload. 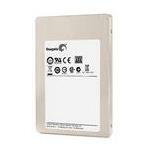 Buy quality SSD drives today from Memory4Less.com to enhance efficiency. Browse through our collection below and avail free shipping on each purchase.